Outstanding Class C Arrival in Memphis! 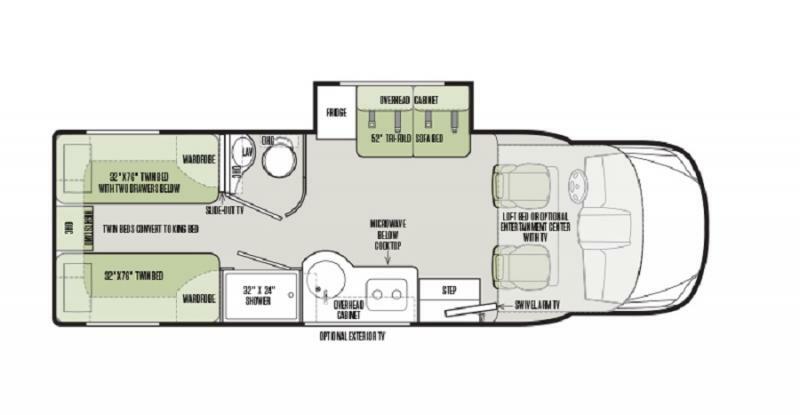 See our Tiffin Experts and take a closer look at this NEW 2019 Wayfarer 24TW model. Spacious and stylish interior with lots of fun features that will promise to feel just like home. Roomy cab/cockpit area for the driver to navigate with ease. Powerful Mercedes 188HP engine and so much more! We are eager to assist!